I know I've said it before, but I really don't like labeling food and this recipe is a prime example. Many nights I don't want a huge big meal so we have a side dish for dinner and it is plenty. A few nights, I'm ready for a bigger meal so I simply add a protein and we're all set. 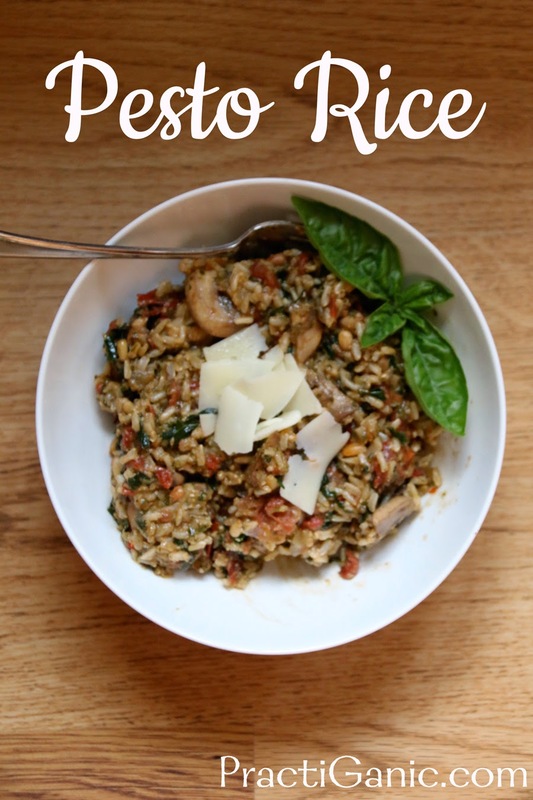 I feel like Pesto Rice is more of a side dish but once you add in the kale, mushrooms and pine nuts, it's quite filling and I couldn't even imagining adding a protein to it. I'm sure once the family is bigger or I am making for others I will think differently. Don't get stuck in thinking a side dish is a side dish and an entree is an entree ... you can make any meal what you want it to be! Truth be told, I've been known to eat this rice the next morning for breakfast! 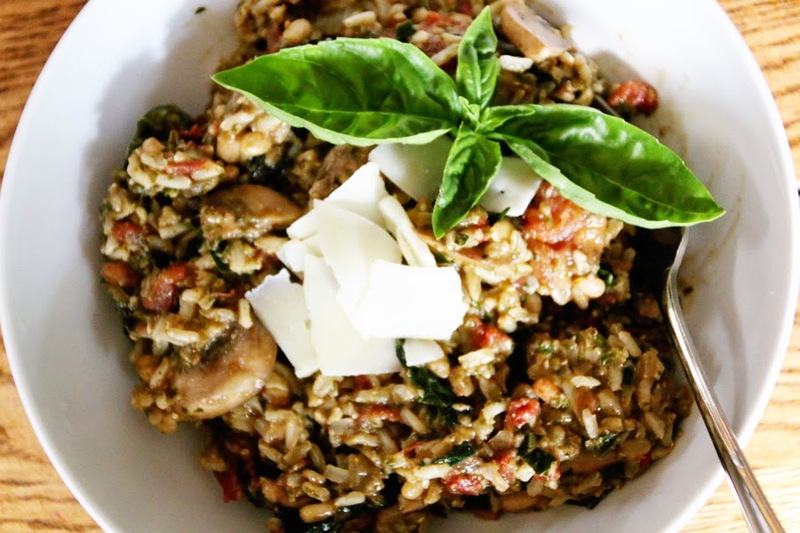 Cook mushrooms in a little oil on a medium-high heat, releasing most of their juices. Add in kale and sun-dried tomatoes and lower heat to medium. Cook until kale has wilted. In a bowl, mix all your ingredients together and serve. My pesto has enough salt and pepper so I don't need to add any. Depending on your pesto, you may need an extra flavor boost, so salt to your liking.